Do you need an event planning certification? If you’re anything like me, you have thought about it! With more and more online information, it’s harder to know who to trust and who’s advice to take. Today we are discussing the truth about event planning certification. What’s an Event Planning Certification, Anyway? By definition, a certification is an accredited designation that you are an expert in a specific field and that you have the experience to back you up. In other words, it is a title that an event planner earns by taking an exam, after years of experience in planning events. If you are new to the industry and don’t have any experience, how do you get an event planning certification? Event planning certifications are a false sense of security. They often claim to be your key to overnight success, but here’s the truth: event planning certifications do not guarantee that you get hired over those without an event planning certification. Often confused with the term “certification,” an event planning certificate of Completion is a legitimate document for new and experienced event planners that proves that you have passed an event planning course and have extensive knowledge of the industry. It shows that you have taken the initiative and have the willingness to learn about event planning – something all clients are thrilled to see. 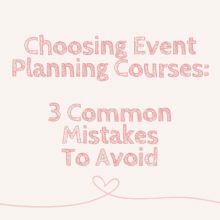 Although event planning is not a difficult skill to learn, you must know the basics and have something to back you up before you can expect a client to hire you. An event planning course is the quickest, simplest and most-affordable way to gain that knowledge. The majority of event planning courses are offered online, which allows flexibility and the ability to digitally reference the material at any point in time. There are event planning courses for event planners at all levels: beginners, intermediates, and experts. If you are a beginner, I highly suggest you take a look at some online event planning courses, as it will introduce you to the industry (gotta get that lingo down!) and ensure you are familiar with the typical event planning processes. 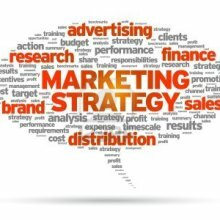 If you are an experienced event planner, online event planning courses are the perfect way to scale your business. We all get stuck in a rut at some point or another and many of these courses offer one-on-one mentorship to assess your needs and discuss opportunities to grow your business and become a highly-profitable event planner. Regardless of which program you choose, keep your goals in sight. Don’t get fixated on becoming a “certified event planner” that you lose sight of your career goals. Focus on a program that will teach you how to be an event planner and move forward from there. Now, by this point you understand why you don’t need an event planning certification and what to do instead, but I also want to be sure that you understand that your clients want to see your experience and proof that you know your stuff about the event planning industry. They are trusting you with their event, they want to make sure you can seamlessly bring their visions to life. Once you have taken the event planning course best suited for you, you will be more knowledgeable and versed in the event planning industry. Now is your chance to really leverage yourself and put that knowledge to work. This is where you’ll get the missing piece: the experience. 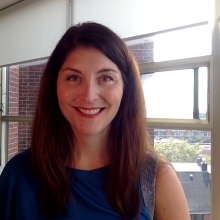 I know firsthand just how difficult it can be to get hired without having anything to show for. Your clients will want proof of previous events, but that gets quite difficult if you’ve never planned an event! Volunteer work is one of the most valuable opportunities to gain hands-on learning experience without any previous event planning experience. Not to mention, it’s a great opportunity to market yourself and inform the community about you and your services. It doesn’t matter if it’s a local 5K or a neighborhood block party, offer to help, take pictures, bring business cards and network, network, network! The more people you meet, the more people will know about your services, and you know what that means…clients! Now, you can have all the experience, knowledge and photos of successful events, but you want to bring all that information together in a clear and organized portfolio. A portfolio is a prime location to showcase your work and prove to those clients what you do best! Between the knowledge you gained from the event planning course and the hands-on experience you gained from the volunteer work you did, you are now dressed for success and ready to take on your first paying client! Wohoo!! If there’s anything I want you to remember today it’s this – as an event planner (new or experienced), you should be focused on being the best you can be and continually striving to learn and grow. 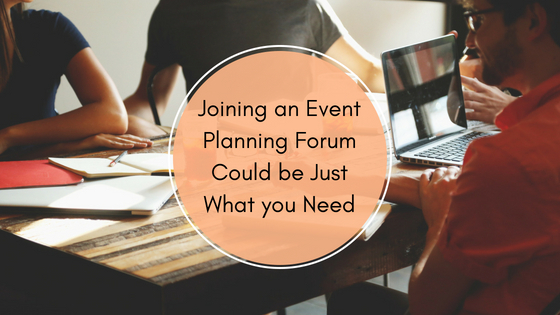 Event planning certifications are a false form of advertising and offer a misleading sense of security. After all, there is no such thing as an overnight success. Online event planning courses offer a much more practical, rewarding and valuable option for new and experienced event planners. They are flexible, adaptable and many offer one-on-one mentorship. Whether you need to learn about the back-end business stuff, you are just starting out and need an introduction to planning events, or you have 5+ years of experience and just need some mentoring, there is an event planning course to help you. What’s your take on people getting paid to plan events with no real world experience or a certification? FIND THE COURSE THAT'S RIGHT FOR YOU... Let's Get Started!